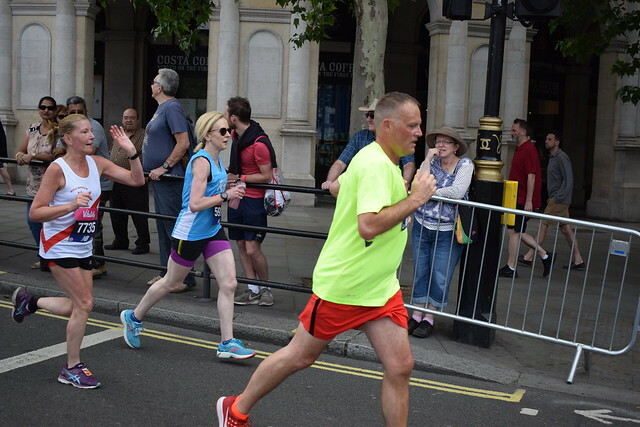 On Monday 28th May 2018 Joe led a group of RTW runners (and supporters) up to London for the Vitality 10k race for the 11th edition of this hugely popular event. Preparations for the trip started way back in November 2017 when Joe suggested the idea to the group ahead of creating an official “event” on Facebook. 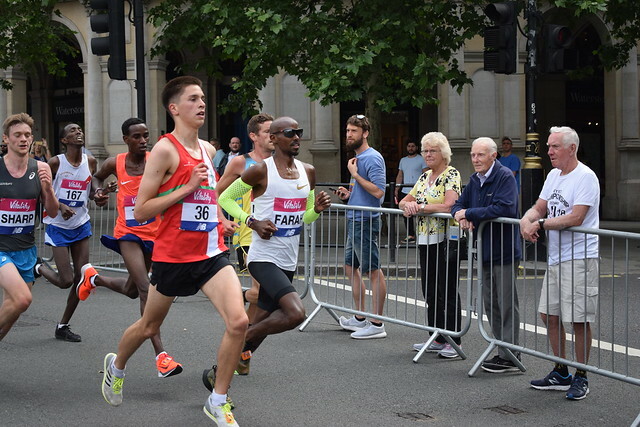 Joe has fond memories of the event as it was the first 10k in which he participated, back in 2013 (9 months after having joined Tonbridge AC) and just his second organised road race. He went on to participate in the event for the following 3 years (then known as the Bupa 10k), gaining a place through the club each time. Fast forward to 2018 and this time it was Joe who was to be supporting his group of runners in their participation of this popular and well supported race. The group met up at High Brooms station at 7.30am in order to travel up to London Victoria (via East Croydon) and arrived at Green Park in plenty of time for the 10am start. A quick visit to the baggage drop and toilets and it was soon time for the runners to make their way to their respective start areas. There were 6, colour-coded start “waves” with each wave setting off around 5 minutes after the previous one. 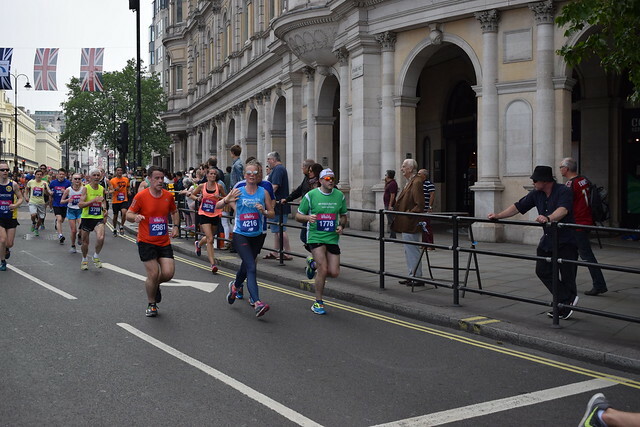 The final wave set off at approximately 10.35am, by which time the elites (which included eventual winner Sir Mo Farah) were home and dry. 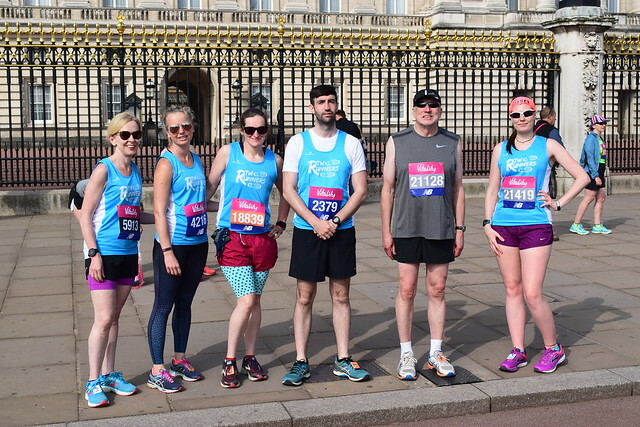 In the meantime, Joe and the supporting team made their way along Bird Cage Walk (which was to act as the final 800m of the race), past Horse Guards Parade and Admiralty Arch to find a good viewing spot just off The Mall which would allow them to see the runners pass at the 8km mark. 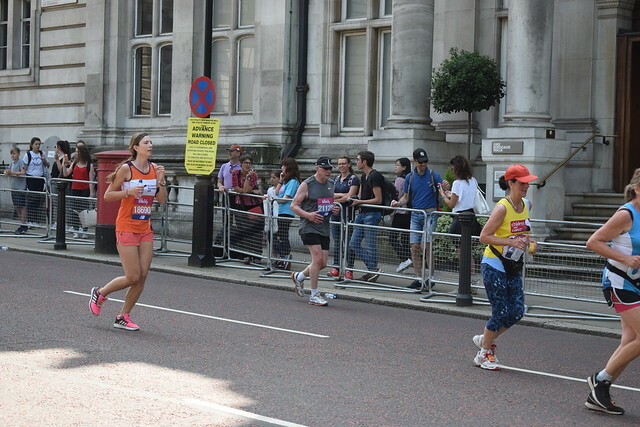 It was here that they were able to spot all but one of our runners (sorry Dom) as well as the leaders. 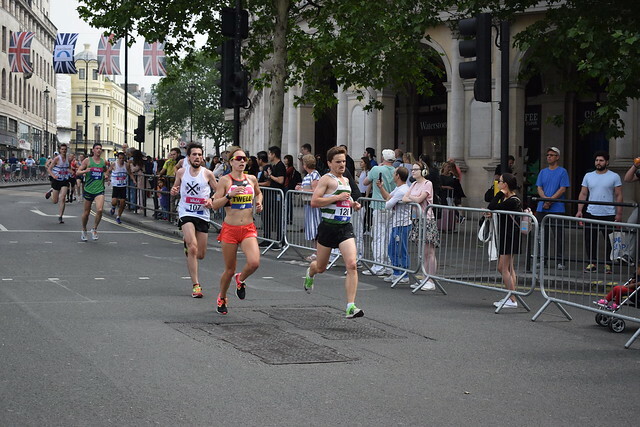 The supporting team then made their way to the final 800m stretch to cheer the team on once more as the temperature began to soar. There were some excellent results from the group and overall feedback was excellent. Of course, as with any race (or any run for that matter) there are always some disappointments but with these we have to move forward, learn from our mistakes and plan how to overcome these in future. 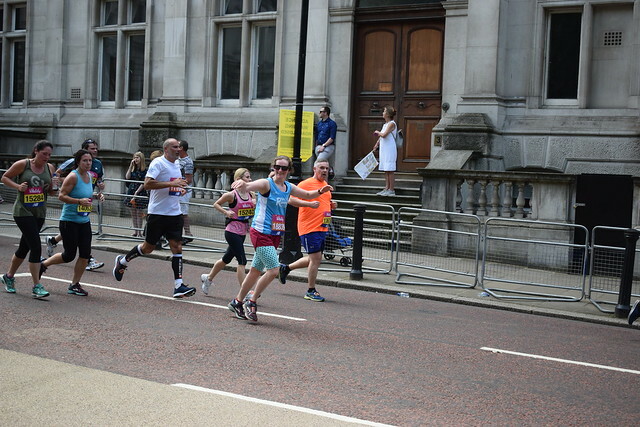 Once everyone had finished the race, the group reassembled at midday and took a short walk along past Victoria Station in order to consume a well-earned, post-race Nando’s! All in all, it was a very successful trip and we look forward to arranging the next one. 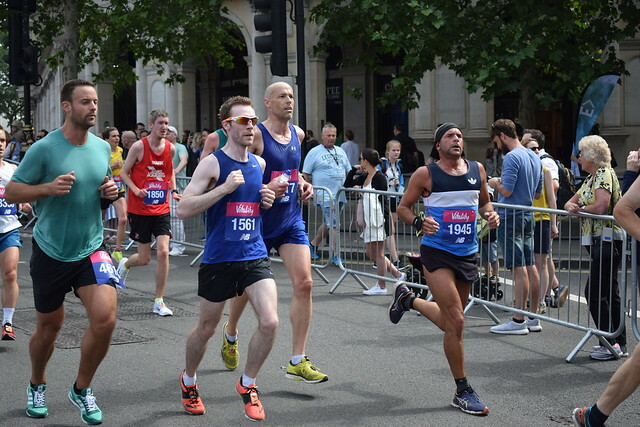 If you have any feedback from this one or have suggestions for a future race then please drop Joe an e-mail at: rtwrunners@zoho.com or mention it at the next session. 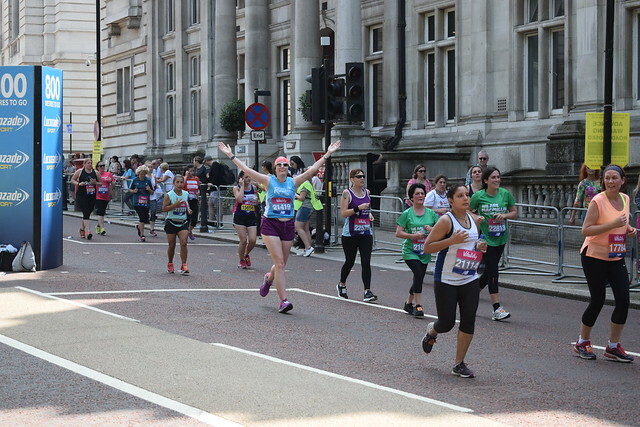 There were a total of 14,475 finishers who crossed the finish line to make this the largest Vitality London 10,000 yet, smashing the 2017 record by more than 2,000 runners!